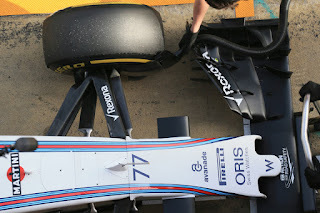 Talking about F1: The F1 blog: F1 2016 Season Preview: Williams - Third rate or third force? In some ways the opening Barcelona test that opened 2016 told a similar, slightly obscured, tale. Williams often is the hardest to read from these things, tending to be the least likely to chase headline lap times in tests and practice sessions, Mercedes perhaps aside in the former. But the consensus remains that the Grove team is in the mix for third best car, perhaps is still leading it. More encouragingly too there is a sense that Williams has focused on, and improved, its main area of weakness last year of low speed grip, which meant it tended to fall away on slow tracks such as Monaco as well as when it rained. Chief Technical Officer Pat Symonds commented during the first test that the data indeed points to improvements here and both drivers made encouraging noises also. 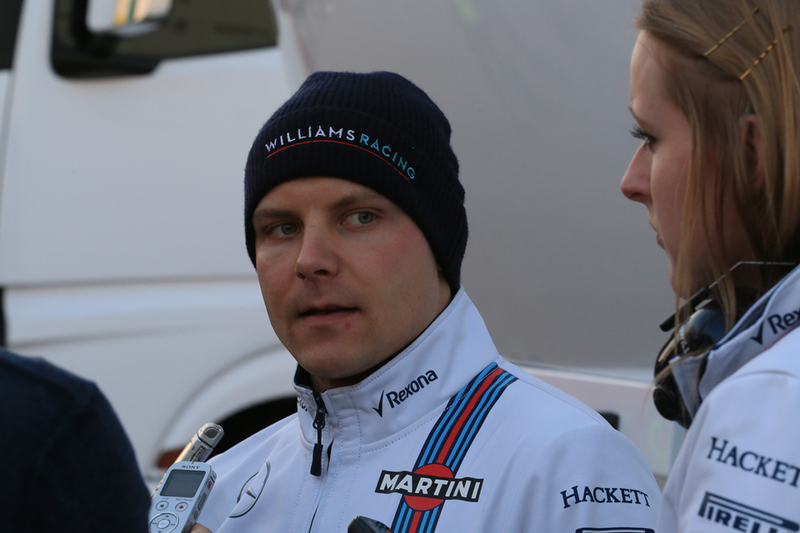 "We can feel improvements in the areas we attacked" said Valtteri Bottas in this vein. Williams more generally turned attention onto the FW38 early last season, and so far the signs are it is reaping reward. The noises from the drivers were positive in the more general sense too. "I've no idea where we are compared to the others," Bottas continued, before adding "the initial feeling is positive", while his team-mate Felipe Massa reported "more grip and more downforce". Massa too set the best lap time of the week on hard tyres. The mileage achieved in Barcelona was pretty good though not the best out there, and there was the odd reliability niggle. Still the squad seemed satisfied with the amount of its programme it had got through including a few long runs and even some set-up work. More broadly though there is a growing sense around that this Williams team is somewhere near its glass ceiling. Its resurgence with Mercedes power in the past couple of seasons has been a great news story, but there is another edge to this sword. The limitations in this engine formula of not being a works team are not to be denied even if Mercedes promises no difference in the equipment itself. But the limitations for Williams are more fundamental. Its budget is essentially that of a midfielder - some £180m shy of Ferrari's annually - so to chastise it for not getting with the Scuderia, or Merc for that matter, is ridiculous. It remains in a situation where unlike those lavish rivals it has to carefully plan its activity and resource allocation and do so far in advance, rather than be able to splurge money at any problems that crop up. With this, that it's got where it has and for two seasons running - something plenty of more richly-resourced squads haven't done - is rather extraordinary. As I said, it all really is a matter of how you look at it. Felipe Massa is one whose story is a little like that of his team. He has former glories - anyone who recalls his 2008 campaign and quintessentially his stunning qualifying lap in Singapore therein can tell you that - yet for years such highs were not approached again. But in the last season or two he's moved nearer to them at least. Indeed, perhaps unlike his team Massa's 2015 was an improvement on 2014. He was usually close to his team mate Valtteri Bottas on Saturdays and Sundays, was more consistent than before especially on Saturdays and indeed in the early part of the year Massa often was the lead of the Williams pair in both. He also made far fewer mistakes than in a previous season that was undermined at times by accidents. At the year's mid point moreover Rob Smedley, a man who should know, said that in his view we were seeing Massa back at last to his 2008 vintage. The main criticism that can be made is that in the second half of the year Bottas got on top of him fairly consistently as the Finn rediscovered form and fitness, though Massa was impeded by two technical retirements and a disqualification that had nothing to do with him. All told he got close to his 2014 points total in what was clearly a less competitive car and without double points in the final round. It all was a demonstration of something that really should be obvious, that in an environment in which one feels comfortable - in his case with fraught Ferrari being replaced by tranquil Williams - one is much more likely to do themselves justice. Without disrespect intended a Massa even at his best isn't quite one of the very top drawer, he's never quite had the consistency nor polish for that. But he's nearly as good. And can do a team a very good turn. Williams definitely got a very good turn in 2015, and probably will again in 2016. F1 has its many oddities, and perhaps Valtteri Bottas right now has more cause than most to reflect somewhat ruefully upon them. There wasn't a great deal wrong with what he did in 2015. Indeed his fine attributes were on show: pace; technical feedback that his Williams team raves about; utter imperturbability in and out of the car (possibly his grandest attribute); sympathetic touch on the Pirellis... And there were many good performances - Bahrain, Spain, Canada, Russia and Mexico among others. But somehow even with all of this in the course of the campaign his reputation seemed to get a little curly at the corners. Perhaps it was a matter of circumstance. He had bad luck, such as with a lingering back injury that kept him out of the Melbourne race and affected him far longer. 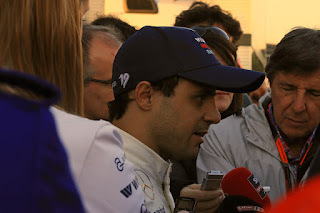 In Austria too when team mate Felipe Massa was impressing on the way to the podium he was fighting through traffic, a situation that could be traced back to yellow flags spoiling his qualifying run. Yet the attacking drives that we all admired in 2014 were not really replicated, and his podium count dropped from six to two. All was likely a reflection of the Williams car not having as many 'peaks' as then, but in another of F1's oddities the driver can often be tainted by association. But that wasn't Bottas's biggest regret. It wasn't much of a secret in the first half of last year that Ferrari was interested in his services for 2016, yet that he wasn't at the crunch point putting Massa away at all decisively - at the summer break Bottas trailed 6-4 in the qualifying match-up plus was only slightly ahead on points by 77 to 74 - and that Williams was demanding bucks to release him dissuaded the Maranello management. After that though Bottas began to reassert himself over Massa both on points and in quali, and he indeed admitted that the Ferrari glare had been distracting him. But is, nevertheless, the damage done? And irreparably? F1 isn't always known for providing second opportunity knocks moments, plus the pitiless paddock will have noticed that he shrunk a little in the spotlight. When in Silverstone he negotiated with the team rather than go for it when he felt Massa in the lead was holding him up perhaps further indicated a hesitancy in seizing opportunities. A strong 2016 would be a good place to start a fightback.